A pain management specialist is a physician with special training in evaluation, diagnosis, and treatment of all different types of pain. Pain is actually a wide spectrum of disorders including acute pain, chronic pain and cancer pain and sometimes a combination of these. Pain can also arise for many different reasons such as surgery, injury, nerve damage, and metabolic problems such as diabetes. Occasionally, pain can even be the problem all by itself, without any obvious cause at all. This image of a cervical spine x-ray reveals potential neck pain in a Chiari patient. As the field of medicine learns more about the complexities of pain, it has become more important to have physicians with specialized knowledge and skills to treat these conditions. 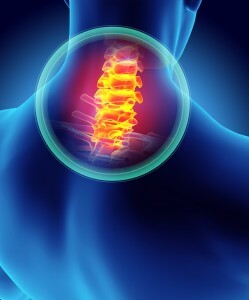 An in-depth knowledge of the physiology of pain, the ability to evaluate patients with complicated pain problems, understanding of specialized tests for diagnosing painful conditions, appropriate prescribing of medications to varying pain problems, and skills to perform procedures (such as nerve blocks, spinal injections and other interventional techniques) are all part of what a pain management specialist uses to treat pain. In addition, the broad variety of treatments available to treat pain is growing rapidly and with increasing complexity. With an increasing number of new and complex drugs, techniques, and technologies becoming available every year for the treatment of pain, the pain management physician is uniquely trained to use this new knowledge safely and effectively to help his or her patients. Finally, the pain management specialist plays an important role in coordinating additional care such as physical therapy, psychological therapy, and rehabilitation programs in order to offer patients a comprehensive treatment plan with a multidisciplinary approach to the treatment of their pain. The most important consideration in looking for a pain management specialist is to find someone who has the training and experience to help you with your particular pain problem and with whom you feel a comfortable rapport. Since many types of chronic pain may require a complex treatment plan as well as specialized interventional techniques, pain specialists today must have more training than in the past, and you should learn about how your pain physician was trained and whether he or she has board certification in pain management. The widely accepted standard for pain management education today is a fellowship (additional training beyond residency which occurs after graduating from medical school) in pain management. Most fellowship programs are associated with anesthesiology residency training programs. There are also fellowship programs associated with neurology and physical medicine and rehabilitation residency programs. The fellowship consists of at least one year of training in all aspects of pain management after completion residency training. When a physician has become board certified in their primary specialty and has completed an accredited fellowship, they become eligible for subspecialty board certification in pain management by the American Board of Anesthesiology, The American Board of Psychiatry and The American Board of Neurology, or the American Board of Physical Medicine and Rehabilitation. These three are the only board certifications in pain management recognized by the American College of Graduate Medical Education. In addition to learning about your pain physicians training and board certification, you also should ask whether they have experience with your specific pain condition and what types of treatments they offer. Do they only perform procedures or do they use a multidisciplinary approach to pain management? Who do they refer to for other treatment options such as surgery, psychological support or alternative therapies? How can they be reached if questions or problems arise? What is their overall philosophy of pain management? The best way to be referred to a pain management specialist is through your primary care physician. Most pain physicians work closely with their patients’ primary care physicians to insure good communication, which in turn helps provide the optimum treatment for their patients. Patients are also often referred by specialists who deal with different types of pain problems. Back surgeons, neurologists, cancer doctors, as well as other specialists usually work regularly with a pain physician and can refer you to one. On your first visit to a pain management specialist, he or she will get to know you and begin to evaluate your particular pain problem. This will usually involve a detailed history, a physical exam and review of tests that you have had performed. The questions you are asked and the physical examination will focus on your particular problem, but your pain physician will want to know about past and current medical history as well. Often you will be given a questionnaire before your first visit that will ask detailed questions about your pain problem, and you will probably be asked to bring any imaging studies (such as X-rays, computed tomography [CAT] scans, or magnetic resonance imaging [MRI] scans) or other tests that have already been done. You should know before your first visit whether or not a procedure is anticipated. If so, you may need a driver to take you home. Most importantly, this visit is an opportunity for your pain physician to begin to analyze all of this new information and discuss with you an initial assessment of your pain problem. He or she may know exactly what is causing your pain, or perhaps further diagnostic procedures will be needed. But no matter what type of problem you have, you should leave this first visit with a clearer understanding of your pain and the course of further evaluation and treatment that is planned. The term ”alternative therapy” generally is used to describe any medical treatment or intervention that is used in place of conventional medicine. When alternative therapies are used in conjunction with conventional medicine, it is called complementary medicine. Alternative therapy encompasses a variety of disciplines, including acupuncture, guided imagery, chiropractic treatment, yoga, hypnosis, biofeedback, aromatherapy, relaxation, herbal remedies, massage and many others. In the past decade, strong evidence has been gathered for the benefits of mind-body therapies, acupuncture, and some nutritional supplements for treating pain. 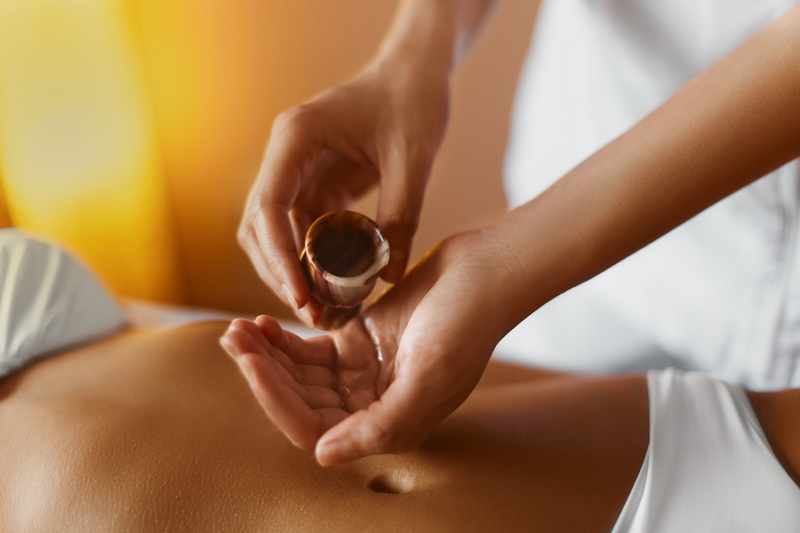 Other alternative therapies such as massage, chiropractic therapies, therapeutic touch, certain herbal therapies, and dietary approaches have the potential to alleviate pain in some cases. More research is needed to see how these therapies compare to conventional treatments. Mind-body therapies are treatments that are meant to help the mind’s ability to affect the functions and symptoms of the body. Mind-body therapies use various approaches, including relaxation techniques, meditation, guided imagery, biofeedback, and hypnosis. Relaxation techniques can help alleviate discomfort related to chronic pain. Chiropractic treatment is the most common non-surgical treatment for back pain. Improvements in people undergoing chiropractic manipulations were noted in some trials. Research also suggests that chiropractic treatments may be helpful for headaches, neck pain, certain arm and leg conditions, and whiplash. Serious complications such as stroke, pinched nerves and worsening of herniated discs have been rarely reported. Massage is being increasingly used by people suffering from pain, mostly to manage chronic back and neck problems. Massage can reduce stress and relieve tension by enhancing blood flow. This treatment also can reduce the presence of substances that may generate and sustain pain. Available data suggest that massage therapy, like chiropractic manipulations, holds considerable promise for managing back pain. Therapeutic touch and reiki healing are thought to help activate the self-healing processes of an individual and therefore reduce pain. Although these so called “energy-based” techniques do not require actual physical contact, they do involve close physical proximity between practitioner and patient. A Massage Therapist conducts aromatherapy oil massage. In the past few years, several reviews evaluated published studies on the efficacy of these healing approaches to ease pain and anxiety and improve health. Although a few small studies showed these techniques are beneficial and have no significant adverse side effects, the limitations of some of these studies make it difficult to draw definitive conclusions. Further studies are needed before the evidence-based recommendation for using these approaches for pain treatment can be made. 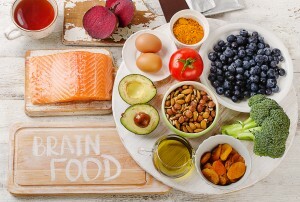 Some people believe that changing dietary fat intake and/or consuming plant foods that contain anti-inflammatory agents can help ease pain by limiting inflammation. A mostly raw vegetarian diet was found helpful for some people with fibromyalgia, but this study was not randomized and was without a control group. One study of women with premenstrual symptoms suggested that a low-fat vegetarian diet was associated with decreased pain intensity and duration. Weight loss achieved by a combination of dietary changes and increased physical activity has been shown to be helpful for people suffering from osteoarthritis. Still, further research is needed to determine the effectiveness of dietary modifications as a pain treatment. 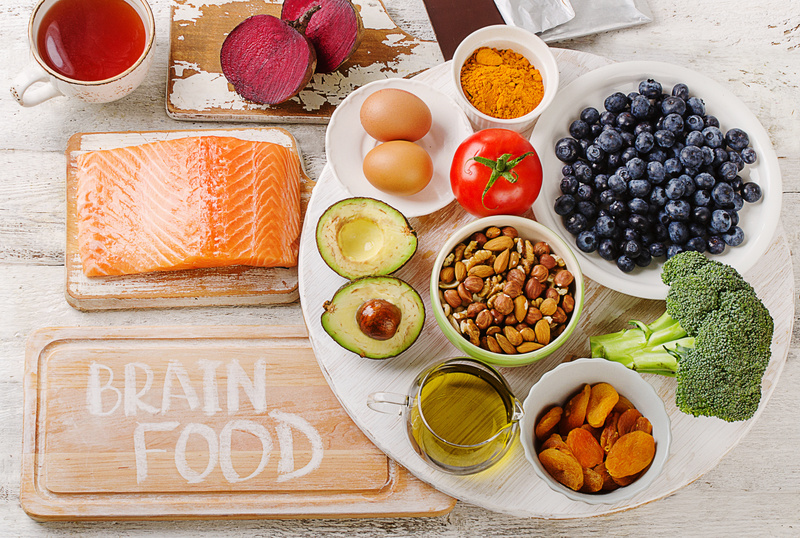 This visual represents the nutrition aspect of Brain Health. It has been difficult to draw conclusions about the effectiveness of herbs. If you decide to use herbal preparations to better manage your pain, it is of critical importance to share this information with your doctor. Some herbs may interact with drugs you are receiving for pain or other conditions and may harm your health. *Alternative therapies are not always benign. As mentioned, some herbal therapies can interact with other medications you may be taking. Always talk to your doctor before trying an alternative approach and be sure to tell all your doctors what alternative treatments you are using.